Israel should get ready for a possible escalation with Hamas in the summer, according to Housing and Construction Minister Yoav Gallant on Sunday. “We must be prepared for a confrontation with Hamas this summer,” he said, speaking to Army Radio. The comments came two weeks after Hamas Politburo Chief Khaled Mashaal said that Hamas is in an “open war” with Israel. “We were and we still are in an open war with the criminal enemy,” Mashaal declared, speaking via video broadcast to a memorial service in Gaza for Mazen Fuqaha, who was recently assassinated. In January 2017, an IDF senior military official told Channel 2 that Hamas has fully replenished the military capability it had lost following 2014’s Operation Protective Edge. The official said that the terror organization has used the years since the 2014 offensive to work on its tunnels and shore-up its missile programs. 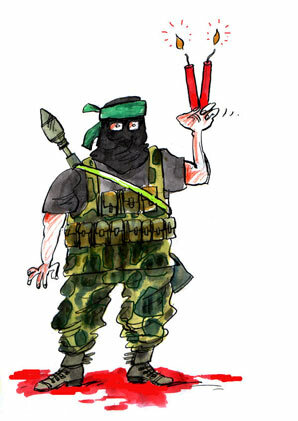 A large part of Hamas’s missile stockpile are self-made weapons from inside the Gaza Strip. The official said the material for making the weapons came through the Egyptian controlled Rafah border crossing following peace talks between Hamas and Cairo. The military assumption, the official noted, is that Hamas is not looking for a confrontation with Israel in the near future.